The Art of Deus Ex Universe is good addition to the franchise considering there were no artbooks released for the earlier games. 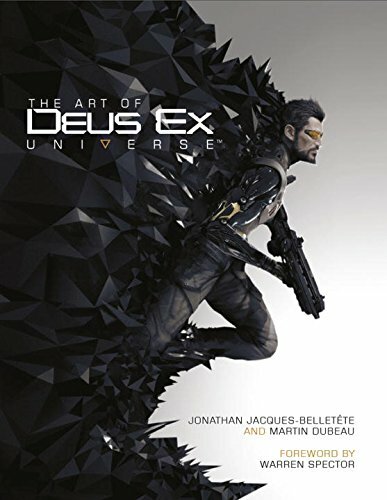 This 208-page artbook collects the concept art from two games, Deus Ex: Human Revolution and Deus Ex: Mankind Divided. By combining the two games in an artbook, the pages are packed with plenty of artworks. The bulk are on character designs and environments. Each character has a good variety of variations included. In addition, there are also lots of staff commentary talking about the characters and where they get their ideas from. The quality of art is top notch. I love the look and feel of the bleak dystopian world. The detailed environment artworks are well conceived and do a good job at portraying the new world. Whether it's a cityscape, interior or streets, they all look very inhibitable. Other miscellaneous art includes the props, weapons, drones and robots, vehicles and poster art from the in-game adverts. 30 pages in total. Overall, it's a fantastic artbook to go with the games. Highly recommend to the fans and those who like sci-fi art.